At my clinic we use Acupuncture and Chinese medicine to effectively treat a broad spectrum of conditions. 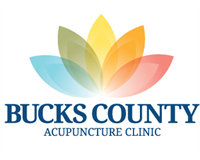 From stress/anxiety and insomnia, to sciatica and pain conditions, Acupuncture is an incredibly effective healing modality. I am located in New Hope, PA. Please contact me to learn more about Acupuncture, or for a free consultation. Erin is great, very knowledgeable and remembers everything. She is always willing to help me and find remedies for me to use for any type of situation. Has help reduce my anxiety, and some skin irritations. I look forward to my cleanse every week. Erin Foster has a wonderful way of listening to her patients and discovers the deeper causes of illness in a holistic way. Her approach is to strengthen the whole person and not to just treat symptoms. She is knowledgeable and kind. I felt completely comfortable with her. She was able to help me with more than just my physical pain, which greatly improved. She helped restore my faith in health practitioners with her attention and compassion.